the ‘may flowers’ open house is today and tomorrow in the gift shoppe. i always like to do something special for those that visit, usually i (or my mom) bakes something. remember the cupcakes from my last open house? well, i’m mixing it up this time. 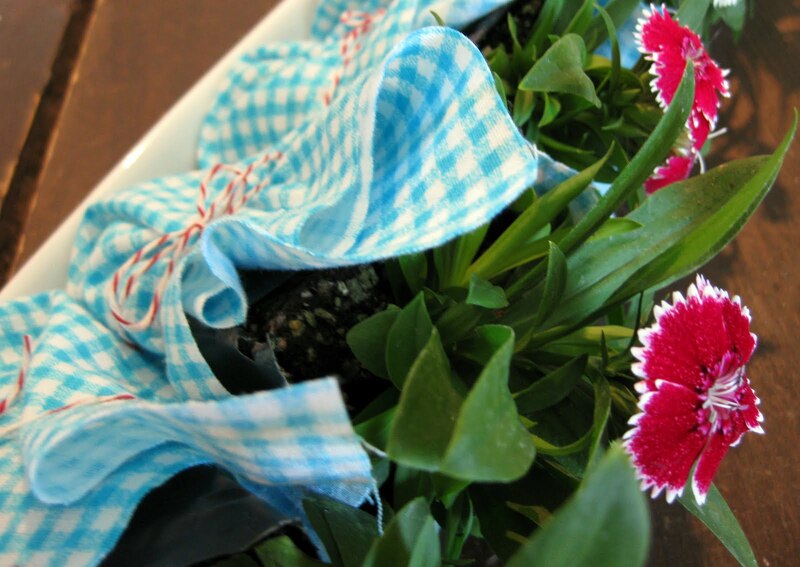 with spring in the air every person that makes a purchase will receive flower to plant. i just got the six-celled packs they sell at any flower shop. 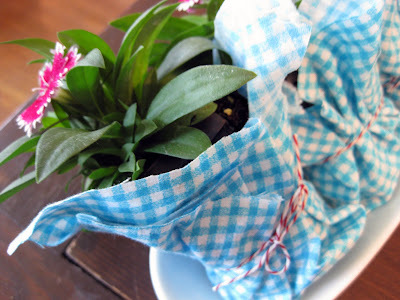 i tied them up with some baker’s twine and sky blue gingham fabric. wouldn’t this make a great favor for a wedding, shower or dinner party? Wonderful! That is a great idea. Good luck this weekend! Ummmm…. yes. I love this idea. I may actually swipe this for a video shoot I have next week at work. I don’t usually blog about work, so if I do it, I’ll have to email it to you or figure out a way to blog it without talking too much about work.